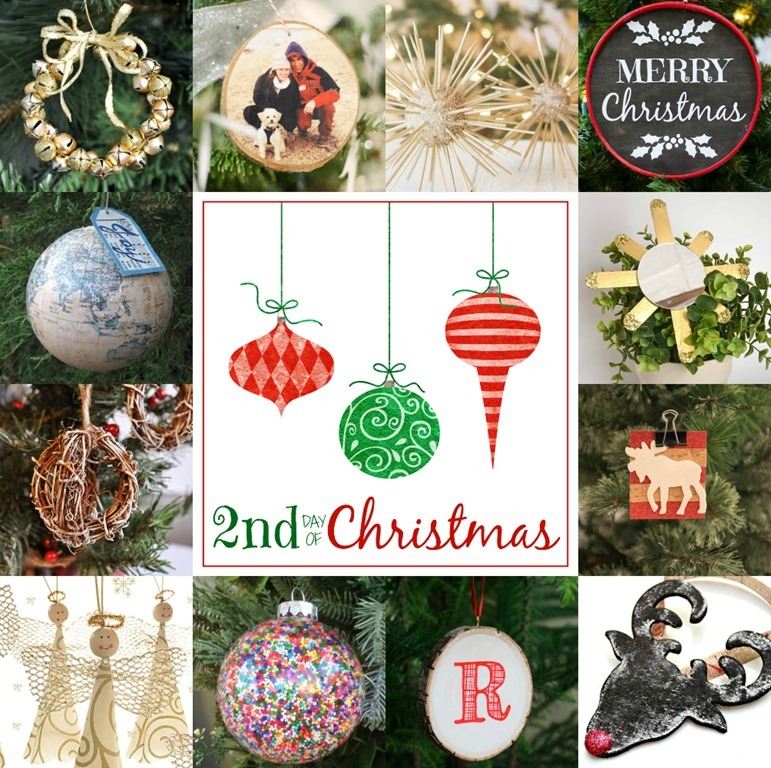 It’s Day 2 of the 12 Days of handmade Christmas ornaments, and today I’m sharing my DIY monogrammed wood slice ornament. In case you haven’t heard, monograms + rustic + plaid = this year’s Christmas trifecta! My inspiration for this project was this wood slice coaster I found at Michaels. It seemed like it was just itching for a monogram, so I added one using a modified version of my easy chalkboard lettering tutorial. I printed out a letter “R” onto plain printer paper, centered it over the wood slice, and taped it at the top and bottom so it would stay in place. Then I traced over the black lines of the letter with a pencil, pressing with medium firmness so the pencil would slightly indent the wood slice where I traced. The result? Little lines created in your wood slice, guiding you exactly where to draw! I used a fine-tipped red Sharpie marker to trace the indented lines and color in the solid outline. To finish, I inserted a screw eye into the top and added a ribbon for hanging. 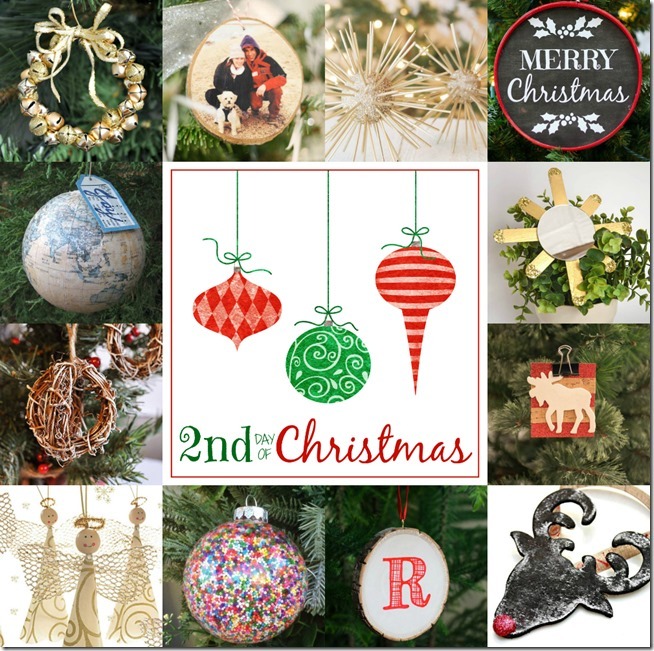 Here are the rest of our handmade ornaments for Day 2 of our 12 Days of Christmas – click around and enjoy! Lovely…and quick! These would make great package tie-ons or holders for napkins at Christmas dinner! This is adorable! Love your take on the monogram! Thank you so much, Chaney! LOL! They’re super easy to do, as you can see! Hope the trend I’ve decided to declare! Hi there! Can you tell us what font the letter is? Hi Merris, I just added a free printable to the post with every letter of the alphabet perfectly sized for a Michael’s wood slice coaster. Just print it out and get your crafty on! Thank you so much, Cristina! The Sharpies are fun – love that super fine tip! Love this! It looks really easy to do…I think I know what ornament I’m making first for Christmas this year. Thanks for the inspiration! So happy to hear it, Whitney – thank you so much! Love this Dusty. The pattern on the letter adds to the theme. Thank you, Melissa! The letters are approx. 1.75″ high. You cannot adjust the size of them with the pdf, but could create your own letters if you’d like a different size. Hope that helps!